The market is loving lithium right now. It’s being called ‘white gold’ and is taking up multiple column inches in financial broadsheets. It seems that every time Elon Musk opens his mouth a suite of junior lithium explorers find support. Segue Resources (ASX:SEG) is one company which has recently taken an early-stage position in this lithium revolution. Since we last caught up with SEG, it has tripled the amount of ground it wants to explore in the Gascoyne region of WA and has done so on the back of rock chip samples, several of which have been identified as intrusive and unequivocally fertile. SEG’s total interest in the Gascoyne has now expanded to over 1100km 2 across six tenements, which could set it up for a potentially major play. Lithium isn’t its only play though. The market is loving gold also and to capitalise on this trend, SEG is also set to commence drilling at its Plumridge Gold Project. A 3800m aircore drilling programme will commence in mid-July with results due in mid-August. So, SEG has plays in two of the hottest sectors right now, but regular readers will know that it still has nickel interests. Down south in the Fraser Range, SEG is working with MMG Limited, a company with a market cap of more than $9 billion and with whom SEG is in a joint venture. 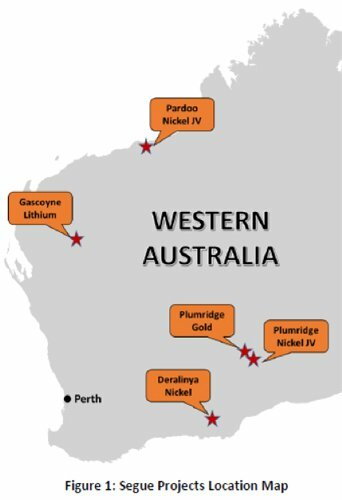 MMG is pouring millions of dollars into SEG’s nickel play and has commenced a detailed Ground Moving Loop Electromagnetic (MLEM) survey at its Plumridge Nickel Project in the Fraser Range in WA. The survey is testing an initial 10 targets for conductive response including a direct detection of potential massive Ni-Cu sulphides. The survey is expected to be completed in the next two weeks with results to follow shortly. As you can see SEG is a diversified explorer and it is moving forward with each of its projects. This is still an early-stage play however and there’s a lot of water to go under the bridge, so seek professional financial advice if considering this stock for your portfolio. While the nickel play is humming along in the background, it is gold and lithium that, given market sentiment, has most people’s attention. Could SEG’s trifecta of commodities give it a positive leg-up for a possible re-rate? 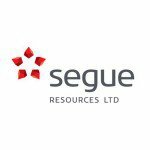 At the end of March 2016, Segue Resources (ASX:SEG) effectively announced its entry into the lithium race currently playing out in WA. It did so by taking an option over three tenements at Morrissey Hill in the Gascoyne region of WA – which runs from Exmouth to Denham, with Carnarvon almost in the middle. SEG has taken a position over 400 km 2 of lithium tenements, striking an option deal to acquire Next Advancements (which holds the lighter red tenements in the map below) and then forming a joint venture with listed Zeus Resources (ASX:ZEU) for the tenement E09/1618 right next door. 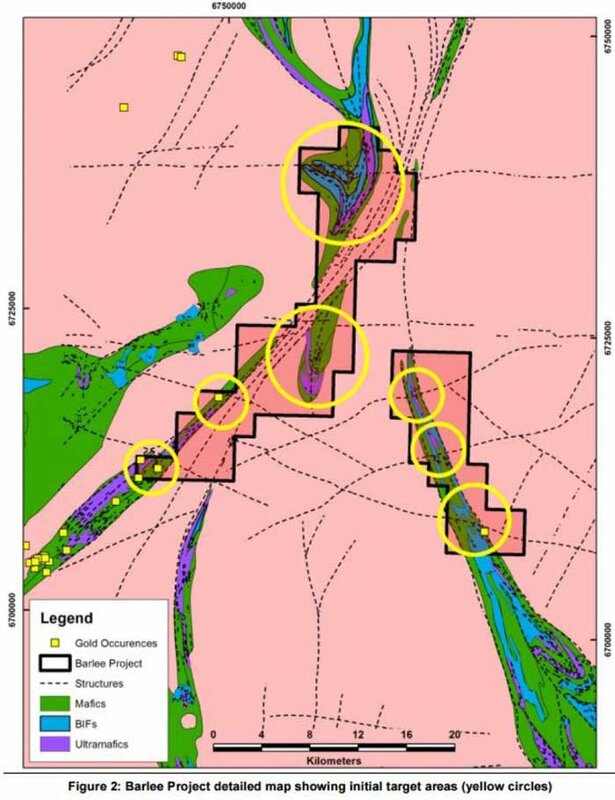 SEG was slated to spend $30,000 on exploration before the middle of May as part of its deal with ZEU (we’ll go into the results of this exploration effort a bit later), but once that initial exploration is complete SEG will earn a 35% stake in the JV by spending another $125,000 within 12 months. This essentially ensures some on-ground exploration action within the first year. This exploration should be funded by a $325,000 R&D credit SEG received a while back as well. Once stage 1 is complete, SEG can then earn an additional 15% interest in the JV, taking its interest to 50% through a further expenditure of $125,000 within 12 months – Stage 2 farm-in. Importantly, for both SEG and ZEU’s bank balances, if interest in the JV dilutes to below 10%, that interest will convert to just a 1% NSR royalty. Meanwhile, the Next Advancements deal involved a minimal cash-down deal. In fact, just $25,000 and shares. For less than the price of a good car, SEG is getting a shot at the hottest commodity on the planet. Once initial exploration is done, it can then pay $100,000 in shares to acquire Next Advancements and formally have its foot on the permits. The final part of the deal will see SEG issue another $100,000 shares upon announcement of a JORC compliant resource of 1mt at 1.2%Li. So, it will have an outlay of $220,000 worth of shares which if all goes to plan will net it contained lithium oxide of 12,000 tonnes. Depending on the grade and a range of other factors which frankly make the following numbers pretty inaccurate, lithium carbonate (conservatively) can go for about $US7000-10,000 ($A9311-13,300). That means in terms of current market prices, which are far from guaranteed to stay stable, that means for roughly $220,000 in shares SEG has unlocked a potential economic resource of $US120 million. It will very likely never make that amount of cash, but it demonstrates the scale of potential resource against the minimal outlay SEG has managed to pull off. This is an early stage play, however, and numbers are speculative, so seek professional financial advice if considering this stock for your portfolio. So SEG hasn’t been sitting still at its Gascoyne project. It’s been doing fieldwork at the license, trying to get a gauge of what it could be sitting on. In particular, it’s been looking at the Yinnitharra and Pyramid Hill – Wabi Creek pegmatite fields – which since the 1800s have been looked at for their pegmatite. The pegmatite has traditionally hosted things like mica, beryl, tantalum, and niobium – but SEG and a clutch of other explorers are riding the lithium wave to re-look at the area. What SEG has found from its initial fieldwork has caused it to triple its holding in the area. The question is, what prompted such a drastic decision based on just fieldwork? The project is made up of three main geological features – the Moorarie Supersuite, the Durlacher Supersuite, and the Thirty Three Supersuite. What SEG has been doing is taking rock chip samples from these three features and looking for fertile granitic intrusions, which in themselves are an indicator of mineralisation. SEG was looking for three things from the rock chips: a magnesium-lithium ratio of less than 50; a niobium-tantalum ratio of less than 8; and for them to contain garnet, tourmaline, and a flourapadite-cordierite characteristic of peraluminous granite. If you struggled to get through that last sentence – don’t worry. All you need to know is that SEG thinks this is the secret sauce to unlocking the rocks needed to find lithium. 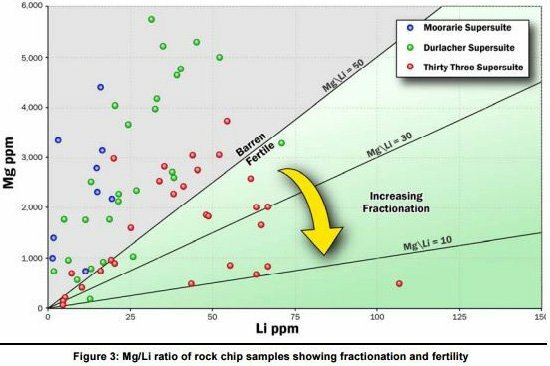 At the end of its analysis of 65 rock chips, SEG found that the Thirty Three was the sweet spot. The red dots above indicate that the Thirty Three is both fertile and increasingly fractionated – a heady mix for lithium finds. In fact, it found that the Thirty Three has some uncanny resemblances to lithium deposits in the North Pilbara and also the Tanco Pegmatite in Canada. So, having an idea that the Thirty Three was going to be key to unlocking the whole thing, it basically went hunting for licences where it is thought the Thirty Three Supersuite is going to be present. Almost everybody in the small cap space seems to be gravitating lithium at the moment – and more than a fair few companies are trying desperately to hitch their wagon to the lithium story. This is a price chart over the last 12 months of Australian-listed lithium stocks Lithium Australia (ASX:LIT), General Mining Corp (ASX:GMM) and Pilbara Minerals (ASX:PLS). LIT has doubled its share price, PLS has almost quadrupled it, and GMM has....we’re not sure of the term but it’s gone 18-bagger in the space of a year. SEG is situated right next door to LIT and is hoping for similar traction. The companies in the chart above are all in various stages of development, and there’s no guarantee that SEG will tread the same line. It’s more of a demonstration of the hunger Aussie punters have for lithium plays just at the moment. So what has Aussie investors hungry like the wolf ? We’ve pulled out this song and dance before, but Tesla and its Gigafactory is one the main players here. This is a factory out in the middle of the Nevada desert which will be making enough lithium-ion batteries to basically eclipse all other production in the world. Hence, Tesla really needed a Gigafactory. Lithium is one of the major ingredients of lithium-ion batteries – heck, it’s in the name. So you can imagine what a virtual doubling of lithium-ion battery demand would do. Plenty of analysts are predicting lithium to become one of the breakthrough commodities of the next five years. There’s Tesla, and then there’s all the competitors trying to catch Tesla. 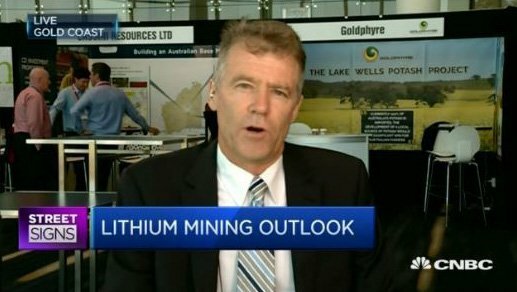 It’s all combining to become an almost perfect storm for lithium players. It has people literally asking whether lithium is the new white gold. But as great as lithium is, there’s no iron-clad guarantee that a lot of the upside has already been priced into the market already – so weigh that up if considering an investment in SEG. As you can see, lithium is hot, but so is gold. It is no surprise then, the SEG has started to move forward with its Plumridge Gold Project. SEG has three exploration licenses immediately to the west of its Plumridge Nickel JV (which we will get to shortly). Exploration by previous tenement owners identified a significantly mineralised shear zone, the Harris Lake Shear Zone (HLSZ). 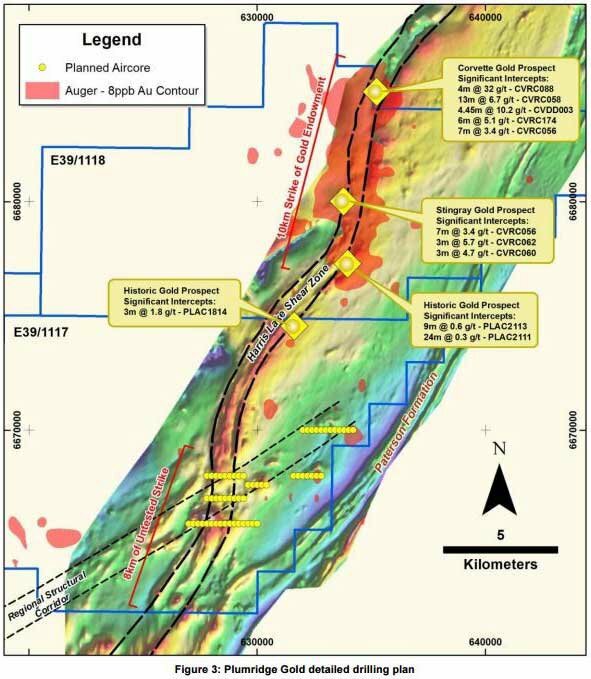 Historical exploration was undertaken at the Corvette, Stingray, Mustang and Camaro gold prospects within HLSZ and drilling at Corvette and Stingray found significant gold mineralisation in narrow high grade veins, including [email protected]/t, [email protected]/t and [email protected]/t as shown in the map below. 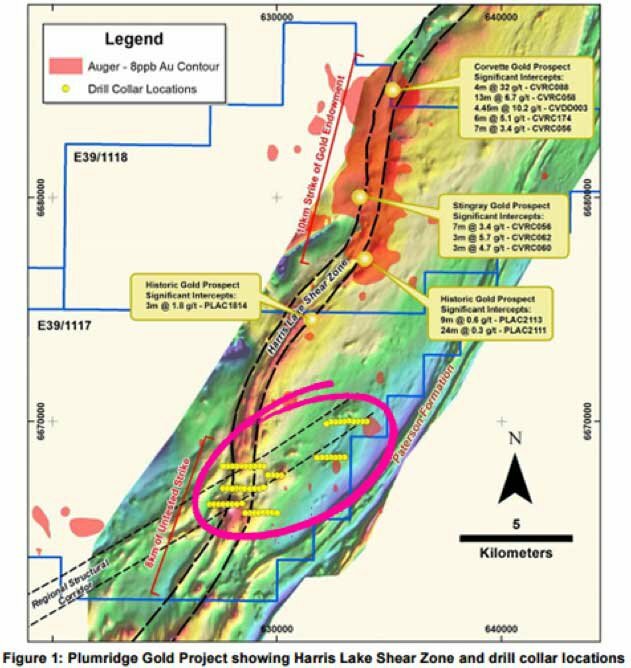 Of the approximately 165,000m of drilling at the Plumridge Gold Project, less than 5% has been conducted at the Southern extent of HLSZ, which opens up an opportunity for SEG, who will next commence a 3800m aircore drilling program of 58 holes across five traverses. Results are expected in mid-August and given the history of the area, expectations are high that HLSZ could contain high grade mineralisation. Should this occur, its overall Plumridge play could prove to be quite the bearer of good tidings.Again, this is speculation here, so take a cautious approach and factor in all information before making to your investment decision. While nickel isn’t exactly a poster-child commodity right now, SEG isn’t giving up on its flagship Plumridge project in the Fraser Range. There’s a fairly good reason why it has confidence in the project – mainly that a dual-listed behemoth is backing it. MMG Limited (ASX:MMG) (HKK:MMG) is capped at over $9 billion in Hong Kong – and it’s acting as a farm-in partner at the project. It also happens to be in the same neighbourhood as Sirius Resources, which went from 5c to $5 – and then to a $1.8 billion takeover by Independence Group . We’re not suggesting that SEG is on the same trajectory here, but it demonstrates that it is possible if you get absolutely everything right. This shows the location of the Plumridge project, along with targets for an upcoming Ground Moving Loop Electromagnetic survey – which should help the joint venture hit “a conductive response” on the targets. The conductive response is basically code for a direct detection of nickel-copper sulphides. Should it be able to detect some – SEG could well and truly be off to the races here and it would go some way to validating MMG’s farm-in in 2015. MMG’s deal is to earn an initial 51% interest in eight exploration licenses by investing $6.5 million in exploration activity by December 2019. It can then increase its stake to 70% by putting another $7.5 million into the ground within two years. Evidently, MMG has seen something in the dataroom that it likes here and is willing to bet $14 million to get a 70% slice of it. For a small cap such as SEG – it’s somewhat of a boon given MMG knows what it takes to go from exploration to mining. It currently has five mining operations underway targeting various commodities, and it also has a fair bit on the exploration front as well. 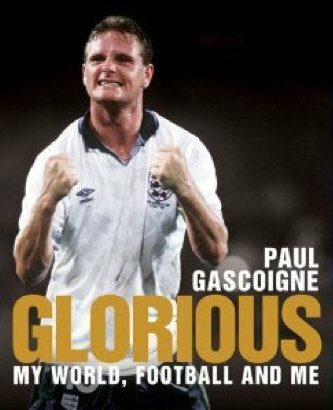 The key message here is that MMG has done this sort of thing before – many times. For a small company such as SEG, having a partner such as MMG come in is a massive validation of the work done so far. MMG knows the roadmap from exploration to mining, and should the project get to that stage SEG will have a 30% stake in the project. Investors will naturally have their eyes on the MLEM survey as the next catalyst at Plumridge, and while nickel isn’t in a great spot right now the MMG farm-in means that SEG is uniquely positioned to capture any potential future upside with an absolute minimum of exploration outlay.